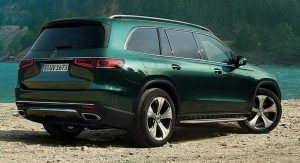 We had a pretty good idea of what the new Mercedes GLS will look like, thanks to some revealing shots of test cars spotted running around with minimal camo, but these images, courtesy of Almuraba and other sources, reveal the next big Benz in all of its production glory. 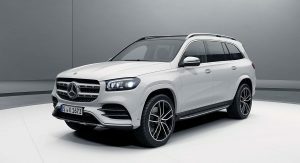 As expected, the new generation GLS looks like a pumped up version of the GLE, finally adopting the modern Mercedes design language. 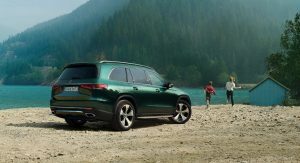 The company’s answer to the BMW X7 manages to mask its gargantuan footprint very well thanks to the company’s familiar clean curves and despite the squarer roof shape. 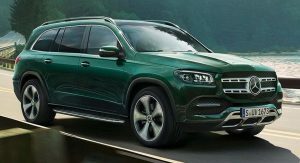 Compared to its more compact sibling, the new GLS features more healthy doses of chrome around the bodywork. The rear end adopts a similar but not the same treatment with the GLE as well, featuring slim LED tailights. 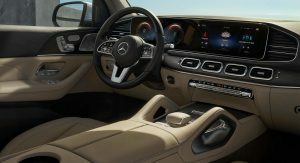 However, sharing stuff with the GLE isn’t over as the cabin of the GLS features the same dashboard design; this isn’t a bad thing necessarily, given how dated the interior of the previous model looked and how special the new design looks and feels, thanks to the twin-display setup and to the high-quality materials. 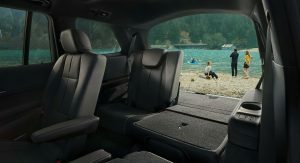 The interior will offer more space than ever, especially at the second row of seats. 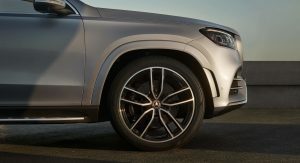 The wheelbase is now longer by 60mm (2.4 inches), at 3,137mm (123.5 inches), making it longer than the BMW X7’s 3,104mm (122.2 inches), according to Mercedes themselves. 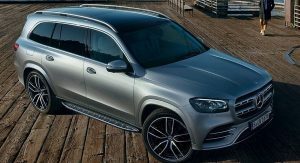 Customers will be offered a wide range of powertrains to choose from, including the latest 48-volt mild-hybrid units and the straight-six engines found in the GLE. AMG versions will employ the familiar twin-turbo 4.0-liter V8. 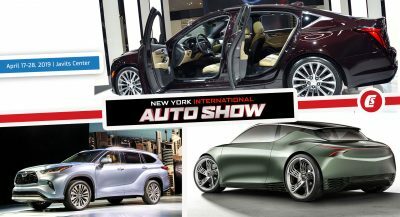 All models will feature a nine-speed automatic transmission. Mercedes has also been working on an ultra-luxury Maybach version of the GLS. 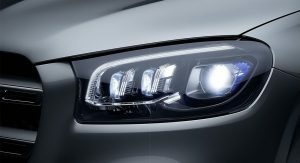 The most expensive member of the range will differentiate itself from lesser GLS models by featuring unique bumpers, wheels and front grille. 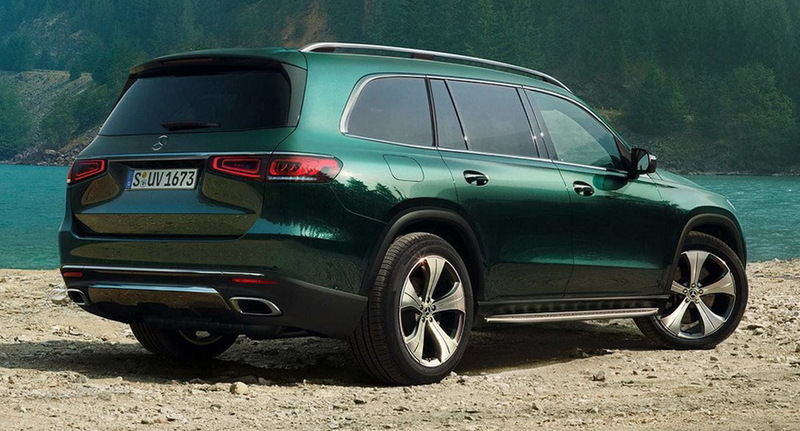 The new Mercedes GLS will be officially revealed at the 2019 New York Auto Show on April 17, so stay tuned. Not bad, but X7 is better! Good looking. But I think BMW X7 looks fresher and more exciting. and more vulgar and chaotic. Vulgar and chaotic in the M Sport guise yes, which caters to those who want that. The non-M Sport looks elegant and lux. You nailed it, you nailed it! The writer makes it sound like the GLS is a new model, which it isn’t. This actually looks more like a mid-cycle refresh than a new version. Uh, really? First of all it is a completely new model on a new platform. Secondly its unmistakeably looking different to the current X166. It is an entirely new model. you clearly dont know how to use those terms…. 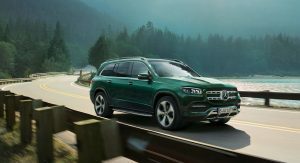 for example 2020 volvo xc90 is a mid refresh, this is a completely new car. It’s looks good, but then it doesn’t. Looks like the new interior design trend is over-sized vents flanking the instrument pod ala Mazda 3. Mercedes has been doing the stretched tablet speedo for years now. It’s not ripped from Mazda. I said the vents, not the tablet and what Mazda has a stretched tablet? GLS53 would be silly, it should just be the GLS500, just like the S500 is in Europe with the 429/435hp I6. Definitely better-looking than the X7! Although that’s a pretty low bar to clear. i like it more than x7 for sure, and even more than GLE. its simple (almost sculptural) form and shape is working even better here (than GLE). the only thing i dont like is that grille outside and those air vents inside. That’s what I like about the GLS. I but I believe that it will show a lot better in the flesh. While it looks as expected the X7 conveys something a little more special imo. I am excited to see what changes the Maybach version will get. Swarovski crystals embedded into the headlights, big deal. Easily the nicest of the German offerings. Looks really good…but the rear end. Just doesn’t work for the GLS. Mercedes really isn’t trying to differentiate any of their models, are they? I prefer the X7 personally. 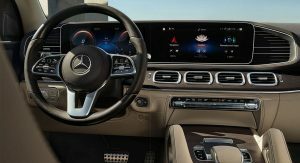 The Mercedes interior is already looking dated imo. Those hvac vents look incredibly out of place. My thoughts exactly. I was actually rooting for the GLS to be amazing, but this is sort of… a letdown. The exterior’s “fine,” but you’re right about the interior already looking dated. We’ll have to see what Cadillac has in store for the Escalade. However, a voice inside is telling me that it’ll be nothing but another lackadaisical effort full of cost-cutting by GM as always. I say the Germans have a great grip in this segment and dare I even say, the Navigator and pretty much anything from Lincoln is more brilliant than anything Cadillac is putting out. It manages to be very elegant even though it’s a very big SUV, and the absence of sharp lines makes the design so effortless. The interior, can’t go wrong with that one too. Hyped to see what will they do with the Maybach and AMG versions. They’ve done it again, well done Merc. Everything looks great inside and out, but my only gripe is with the tailights. Who at Mercedes allows that design to pass, not only on this but on the CLS as well. They look out of place. Yep. Just a stretched GLE, inside and out. They are even trying. Right. Their Russian doll design theme. My bad, I thought they could add a little bit of creativity here and there. Looks good, a clear competitor to the X7. BUT…that interior is not it. 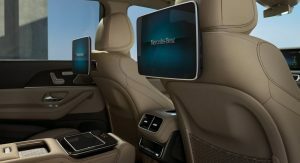 No third row sunroof ro climate controls – X7 has 6 Zone climate. Either way the real worry is for the Navigator and upcoming Escalade. Thought it would not be as bad as x7 but maybe it is! Awful taillights, even the BMW inspired ones from the previous generation were better. I see what you saying man, I guess different people make different choices . I just love that new dash of the GLS. Another unreliable planet assault vehicle from Mercedes. Perfect for blonde skinny trophy wives to drive to hot yoga in. Lots of comments about looks, nothing about how it will break down at 40,000 miles like all of the previous versions did. Sad they couldn’t bother building an electric version that I would think about buying. Here’s to continuing to buy oil to fund Middle East terror for another 10 years. 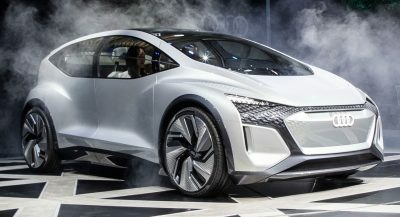 Mercedes aren’t building EV variants of their standard range, that’s what the EQ brand is for. Next gen of S class will be fist one if I am not wrong. I mean It won’t be exactly the same but will share a lot. Well technically all EQ vehicles initially will be ‘based’ off their ICE counterparts, as far as platform and structure. 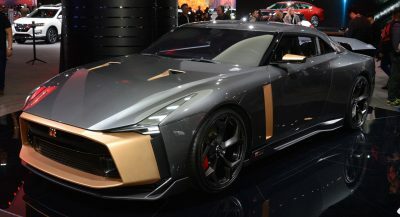 However they will all get unique sheet metal and interiors. Your opinion of “Both looks good” not only lacks substance but is actually grammatically incorrect. Let’s keep the discussion civil and not resort to name calling like a little kid. Try to stay on topic instead of trolling on discussion boards. In case you haven’t noticed, nobody responded to anything you wrote because nobody is interested in your trolls. I will stop responding to you as well now, but I do hope you take my advice because it will help make you a better person. Looks like someone is hurt. LOL you need to put on your boxers for once and be a man, not a woman. They aren’t even trying. Just another Russian doll from. Mercedes. Looks brutish and rough. The X7 is the new King of the Hill. Sales of both models will tell us which will be the new King of the Hill. 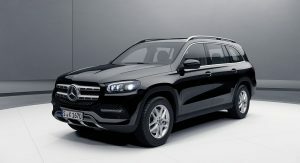 The GLS will sell well with the Russian Mafia. Sorry, it seems you can’t afford one, i guess. You seem to hate everything though… I’ve never seen you post anything complimentary of any vehicle. that rear is most unfortunate. 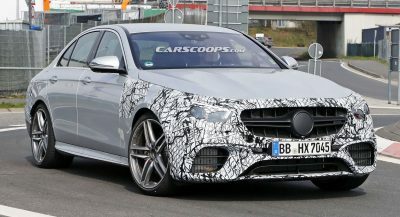 And based on the spy shots of the next S class it looks like that it will receive similar design … which is quite unfortunate indeed. Looks decent, though a bit bland. The shape of the headlights looks especially bad. Interior is nice. Exterior needs more elegance and better design. Every MB these days looks like some sort of bland, stretched egg. Looks better than the X7, still not as nice as the Escalade. I wonder when the VW group will make a true large SUV, because the Q7 isn’t it. On what planet would the Escalade or Infinti Q be considered attractive? They are the two most Canyonero-looking SUVs on the market. One could say the answer to your question is someone that appreciates the traditional “box” design. Definitely not an early adopter for design changes. Personally, all the bubbly amalgamation’s between traditional cars and SUVs are ugly. Give me a somewhat boxy design. If I want a people and stuff mover, I will just get a wagon. That is what most people should do anyway. But who am I? Just a nobody with 20 yrs. as an automotive financial analyst for the “box” makers. Intelligence yet no snarky. I can appreciate your insights. I’m only someone who spends hours in an Escalade car service every month. I also have nearly 25 years of experience studying the luxury industry and what compels luxury buyers to part with their money. The Escalade is nice to be driven around in, but the luxury veneer is a silly caricature of “rich people stuff.” Kind of like a McMansion with concrete lions at the end of the driveway. “Affluent” buyers consider the Escalade to be impressive. But “wealthy” or “rich” buyers do not. The issue with the Escalade has nothing to do with boxy vs. bubbly. A Range Rover is boxy and gorgeous with details that reinforce that your money was well spent, even if the real quality of the vehicle doesn’t. In my personal and not professional opinion, the front end of the Cadillac is totally unbalanced in a way that can be described as “Down syndrome.” Up close, the absurdly proportioned grille is clearly worth about $10. The rear end lighting is dramatic, but it’s all clunky and unrefined. The cut lines of the tailgate/taillights/bumper are a jumbled mess. The hard metal bits that make up the basis of the truck, I have no issue with. It’s the Cadillac branding plastic that was poorly grafted onto the generic vehicle. For the money, the Escalade isn’t good enough and doesn’t enhance the brand at all. I couldn’t agree with your insight either sir. I just love the suspension. I’m a fan of the Magnetic Ride Control. And it feels brutish. I know there are more worthy of being called that. But here in Texas, Escalades are everywhere…and cheap. But there are better choices. Plus, for me, I’d rather a wagon. Care for an offline chat? One Auto Aficionado to another? The Escalade still looks better to me. Sorry. Yeah because you’re blind and you’re using the most basic photo of the GLS you can find. I used a photo from this link. Blame Mercedes for posting the pic, not me. Mercedes every time. The Escalade’s awkward proportions (massively tall front and almost postbox-size windscreen by comparison) are due to the limitations placed on it because it’s a body-on-frame construction. 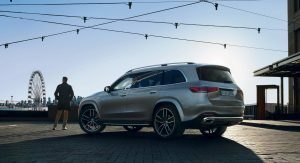 The monocoque of the GLS means they can get the fundamental proportions right. What? Escalade? Are you are nuts or blind? That warmed over Chevy is overpriced trash. I can only compare looks, since I haven’t driven any of these vehicles. Terrible comparison, the GLS will walk all over the Chevy in leather. Stay off the crackpipe boy. Lol, the Escalade is nothing more than a $25,000+ appearance package. Navigator number 3? In what lifetime? 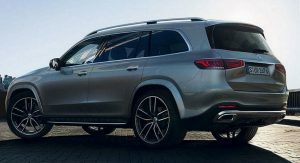 The Navigator outclasses this bum Mercedes-Benz GLS Built in ALABAMA! 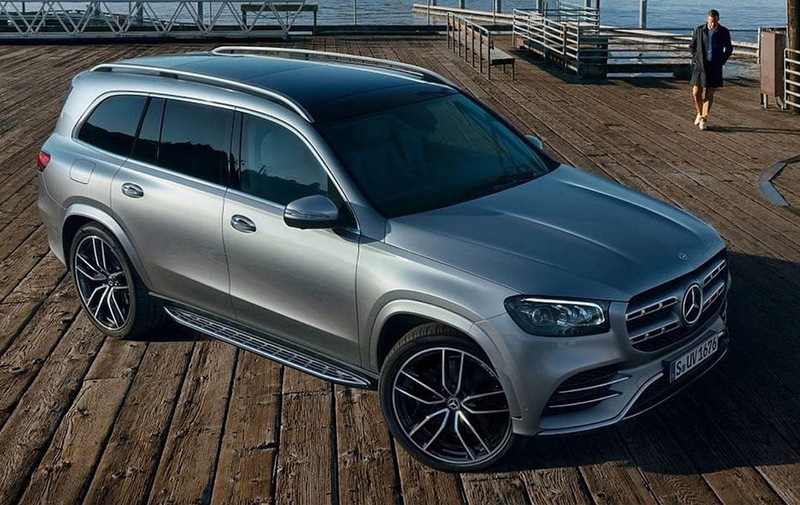 The point of Mercedes wagons have never been to make massive style statements. They are supposed to look purposeful, smart, and sit nicely in front of a stately home. To me, this probably achieves that perfectly. How can people be attracted to the vulgar X7? Nothing is nice about that monstrosity. ho-hum. X7 looks way better. The new X7 blows this bloated monstrosity out of the water. This is a really uninspired redesign.. 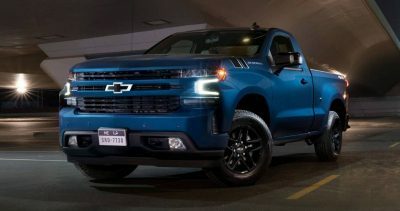 They still have the giant fake grilles, but the designers haven’t figured out how the hood meets the top of the headlights or the main grille surround. And that stretched iPad looks like a cheap afterthought. It definitely has a minimalist design compared to the X7. I like it, it looks athletic and modern without trying too hard. 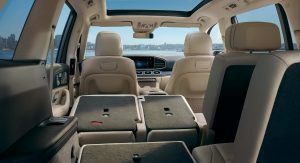 With their renaming of the SUV lineup, this should be a taller version of the S class, yet, the X7’s rear captain’s chairs look far more luxurious. These look like they came from the back of a Dodge Grand Caravan. The one in white is gorgeous. It really is Mark. It actually made me eat my own words up. The white one shows the very masculine proportions off. But for some reason or another the dark greenish one shows ill proportions with an awkward backside quarter sloping off to front. I guess the white casted the shadows a lot better. No worries man, Lincoln is a far worse offender in having press release photos make their products look even worse than they actually are in video or under better lit environments. I almost think that they do it on purpose to play with peoples hopes, only to impress them afterwards when we see the full release. Must be difficult to be a German car designer these days. Copy and paste, enlarge or shrink. 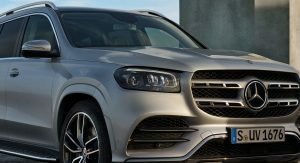 What Mercedes does with the GLS : we already know instinctively that it will be available worldwide with an AMG GLS 63 version without even questioning ourselves about it. It doesn’t have nothing on the Lincoln Navigator and I would still choose a Cadillac Escalade over this mess. And I will defend and destroy anyone who comes in my path.